See Our Bucket Boats in Action! Click Here! 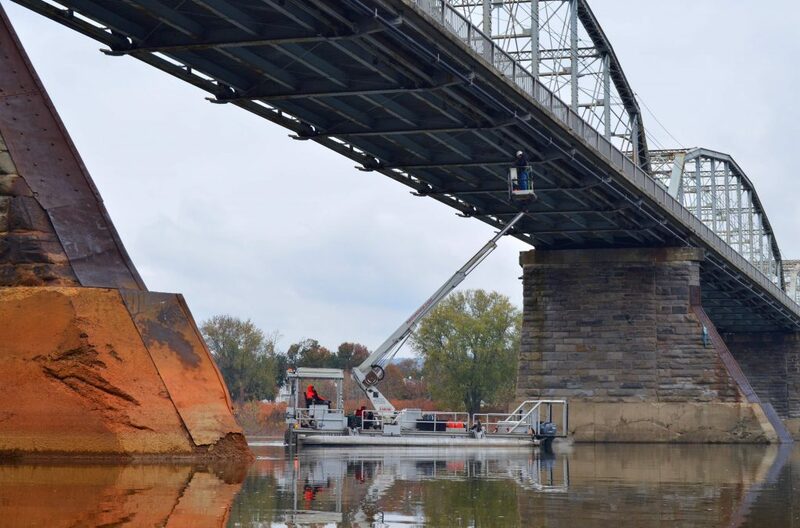 When a standard SnooperTM truck just won’t do, our Bucket Boats are the perfect solution. 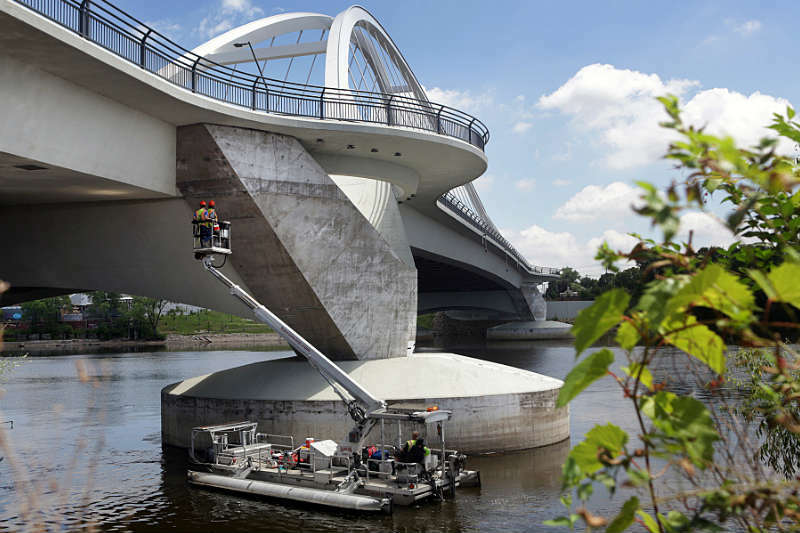 Our patented water-based Bucket Boats are changing the way America inspects bridges. 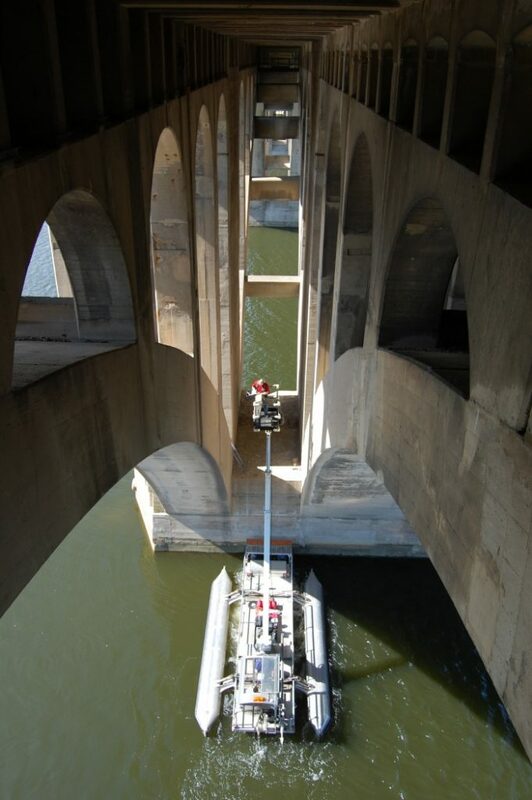 With working heights up to 66 ft, shallow water capability of less than a foot, and a stabilization system of outrigger pontoons and sea anchors, our Bucket Boats have become the most popular piece of bridge inspection equipment to date. Harcon’s Bucket Boats are equipped with all Coast Guard mandated devices for small commercial watercraft. 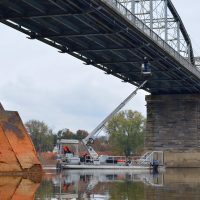 Additionally, they have a foot-operated hydraulic bow thruster, hydraulic spud, hydraulic anchor, an onboard compressor, and pneumatic grinders and chisels for bridge cleaning. 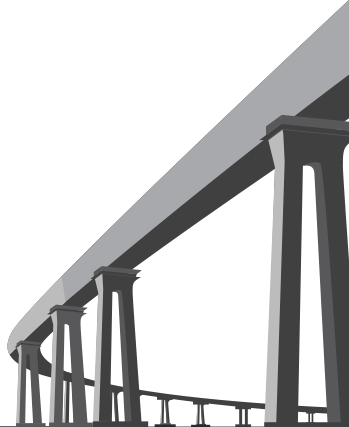 On many structures, there’s no safer, more efficient, more cost-effective method of access available. The Bucket Boat’s biggest advantage? 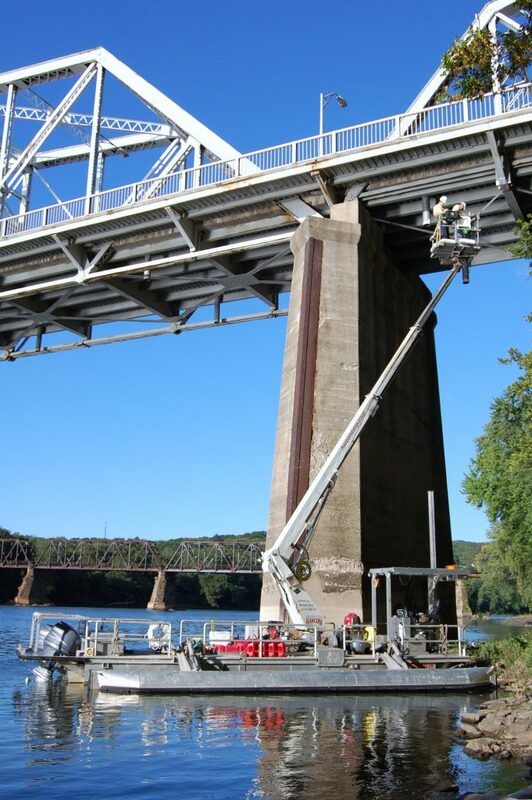 NBIS compliant bridge inspection without lane closures or track time At Harcon, we understand closing a lane to traffic is risky and too often, lethal. So anytime you have the option to keep traffic running, you should give that option your most serious consideration. The safety of workers and the traveling public is paramount. 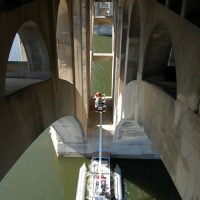 In addition, our Bucket Boat saves time and money. 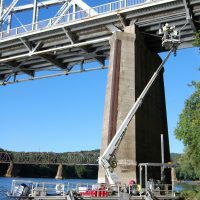 We provide access without requiring additional traffic personnel or equipment, which in turn allows for quicker inspections.